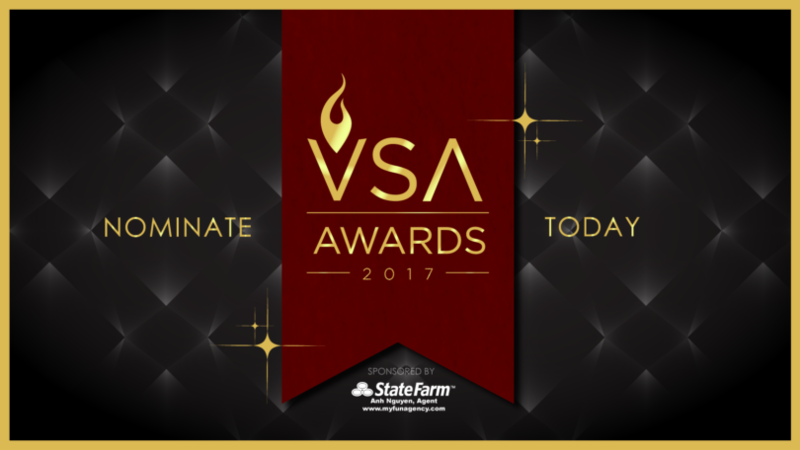 It’s that time again—time to recognize the great achievements of all the VSAs across the continent! The VSA Awards is the largest one-of-a-kind VSA award ceremony on the continent. Nominations are easy and could be done by anyone for any VSA of their choice through our website at http://vsaawards.unavsa.org/ until Monday, June 1 at 11:59pm PT! The competition will culminate at the UNAVSA-15 Leadership Conference gala in Atlanta, GA on August 4, 2018. All categories will get some monetary award. We have a sponsor that has agreed to award the winner from each category $75 USD. Award checks will be written and presented to the name of the winning VSA. All VSA Award winners will be recognized at the UNAVSA-15 conference, featured on UNAVSA’s website and annual report. From now until Monday, June 11 at 11:59pm PT, you can nominate any VSA for the 2018 VSA Awards! Visit the VSA Awards website at vsaawards.unavsa.org to submit a nomination. All nominations will be uploaded on the website and our panel of judges will review and vote on the winners to be presented at this year’s UNAVSA-15 Leadership Conference.